Comments Off on Do Japanese banks’ project pipelines conflict with shift in coal policy? 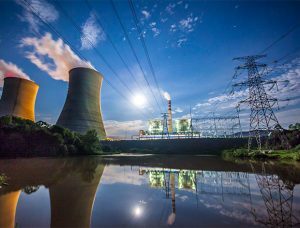 Despite suggesting they would restrict their funding for coal projects, the project pipelines of Japan’s three major banks suggest they are still heavily involved in the sector. Mizuho, MUFG and SMBC all updated their coal-funding policies in May and June of this year. The move was welcomed by environmentalists, given that these banks are among the heaviest funders of dirty coal projects in Asia. However, new research from Market Forces, a lobby group, shows that each is set to fund large projects that would be in contravention of their updated policies. Combined, these projects will emit 1.6 billion tonnes of CO2 over their lifetimes. The study shows that if they were to follow their policies to the letter, Mizuho would be ruled out of 40% of their pipeline projects by capacity. MUFG would be ruled out of 31%, while SMBC would have to scrap 31% of these projects. Mizuho’s policy brief states that “primary considerations is whether the use of greenhouse gas-producing technology is appropriate due to economic necessity when compared to feasible alternative technologies which offer similar levels of energy efficiency”. The MUFG document reads: “MUFG Bank and Mitsubishi UFJ Trust and Banking refer to international guidelines such as OECD arrangement on officially supported export credits, when considering the provision of financing for new coal-fired power generation.” These guidelines restrict funding for the majority of coal-fired projects. Those that can be funded are those that require “ultra-supercritical technology”, which rules out most of the pipeline, according to Market Forces. SMBC’s updated policy also refers to ultra-supercritical technology, defined as power plants which “require less coal per megawatt-hour, leading to lower emissions (including carbon dioxide and mercury), higher efficiency and lower fuel costs per megawatt”. The bank’s policy reads: “Our policy for new financing will be stricter, limiting financial support to only coal-fired power plants that use ultra-supercritical or more advanced technologies which are considered highly efficient”. None of the banks were willing to comment on the report, however an MUFG representative raised the bank’s positive ranking with regard to clean energy financing, stating that while 50% of MUFG’s portfolio of power-related project finance worldwide is in the renewable sector, less than 10% goes to coal. The projects in question span five countries: Botswana, Bangladesh, Myanmar, Mongolia and Vietnam. Almost 50% of the coal-fired plants will be built in Vietnam, which has been investing heavily in power plants, the majority of which are coal-fired. SMBC was among the lenders on the S$1.87bn syndicated loan for the Nghi Son 2 coal-fired power plant in Vietnam, which reached financial close in April, despite claims that it will generate “twice as much” CO2 per every unit of power generated as the average generating plant in Vietnam. Meanwhile, Sumitomo Mitsui Trust Bank, part of the same group as SMBC, told Reuters in July that it “would stop providing project finance for new coal-fired power stations as a basic rule”. The post Do Japanese banks’ project pipelines conflict with shift in coal policy? appeared first on Global Trade Review (GTR).